Have you noticed all the advertisements around for software that promises to buy and sell everything for you, from stocks to your mother’s kitchen sink? And most guarantee profits with the trade. Is it better to let the machine handle these things, or are you more of a “hands on” type of person? Taking a good look at stock trading systems may help you decide. The success of the overall system depends on how well the rules are written and perform. Success is a combination of the different rules used. Why use a stock trading system? Emotion can get the better of even the most seasoned individual trader. Once your system is developed and established, trading becomes an automated process, and not subject to human moods or inefficiencies. The machines don’t second-guess their decisions, like humans may do. Once you have an effective system in place and optimized, you as a trader are not required to put out much effort. Computers can perform not only signal generation, but the actual trading for you. You don’t have to spend time going over data for analysis, making decisions and initiating trades. The more they do, the more complicated they are. When they are being developed, trading systems demand a flawless understanding of technical analysis. You have to have a solid ability to make empirical decisions and a comprehensive knowledge of how parameters work. If you aren’t making your own stock trading system, it is still imperative that you be familiar with the parameters used in the system you are developing. You’re going to have “slippage.” As a system trader, you’ll have to make some realistic assumptions to effectively employ the stock trading system. You have to make reasonable assumptions about transaction costs. This goes beyond just figuring the commission costs. Also, keep in mind that systems do not test accurately, so there will be a margin of error when bringing the system online. Problems that crop up, when simulated results are different from actual results, are known as “slippage.” If you don’t deal effectively with the slippage, the stock market system may not be as effective or successful. It can take a great deal of time to develop a trading system that actually works, and get it up and running properly. It has to be tested frequently, which takes time. Historical backtesting doesn’t take a great deal of time, but it isn’t fully sufficient alone. Your system will need to be paper traded in real time to make sure it is reliable. Slippage may require several revisions to the system, even after it goes live. Putting together an effective stock trading system is no easy task. It necessitates a concrete understanding of the many varied parameters employed, and requires the ability to make realistic assumptions and a commitment to the time that it takes to develop the system. If developed properly, by competent people, a trading system can be a nice advantage. It can help increase efficiency, can give you extra free time, and can even increase your profits. 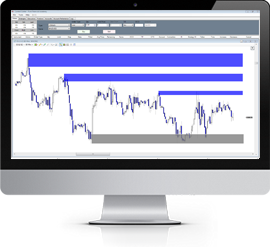 We make our extensive inventory of Supply and Demand Trading Software available to our members. Whether you are a beginner or a professional, our selection of software can be used in myriad aspects of your trading. The options available in PFA’s software are there to help you fulfill your trading needs and to help get you on your own path to success. All of our software is covered in our live training room. This provides you with an optimal learning experience on stock, forex and futures trading systems. All of this falls in line with our ultimate goal: providing you the best education and trading strategies possible. I had the pleasure of being a member of Pure Financial Academy for a year; I was a 10 year veteran floor trader at the CBOE; Will Busby taught me how to read the markets off the trading floor and to place high probability trades based on the natural law of supply and demand. It takes one year of commitment to understand and utilize the methodology, however it's definitely paying off now. One thing I will say your zones have taught me, is having no emotions attached to trading. It takes out the second guessing. I take a trade and just leave. It either hits my stop or my target lol. I cannot stress enough how much getting an understanding of supply and demand has changed my trading. This program has taught me far more than I thought it would. To become a professional trader which is my goal... YOU NEED THIS PROGRAM!!! !...Enough said!!! Hi Will, I watched several of the PFA trader education classes this weekend. I was so delighted to discover how clear and coherent they were. You have a remarkable knack for teaching. Your tone and technique really clarify difficult concepts and make it so much easier to gain insight into how the markets really work. There are so few people like you who understand the markets and are also able to masterfully convey their knowledge to others. I am so glad I signed up to learn how to trade at Pure Financial Academy. Thank you for sharing your knowledge. I am building educated and qualified confidence in my subjective trading, while the autotrader is running in the background. You are doing a great job as an educator, I am getting a lot of where you are taking the live education sessions these days. If we (your clients) stick at it, you will have been an intricate part of changing our lives and not just monetarily. Keep up the good work, you are making a difference. I have traded the markets for over three years and decided to work with Pure Financial Academy due to a recommendation by a friend. Working with Pure Financial Academy was refreshing because it focused on the basics of price action and its supply and demand areas. This is the most watched indication by all traders, much higher then lagging technical indicators. Pure Financial Academy's greatest lesson is to show or remind you to keep it simple and wait for the trade to come to you. Money well worth invested! You have given us an opportunity to change the way we live so we can be better sons, husbands, fathers, brothers, friends to our loved ones. You have given us more than a way to make a living, but time. Something money can't buy and is truly priceless. You certainly are really helping me and I am absolutely sure that you must be really helping a lot of other people too! My favorite part is definitely the actual market education. On your teaching, you certainly have an effective way of conveying the information. I have looked at many different systems, techniques and yours, hands down, seems the most effective. I would like to say a big thanks to you for just being there. My trading has certainly turned around since joining your room and this has greatly enhanced the quality of my life. You are a breath of fresh air in the trading education sector and your methodology is strong, repeatable and successful. Thanks for your continued mentorship. It is invaluable. Hi Will, loving your tuition, loving my trading and really feel I'm making great progress. Not just on where to enter and where to exit, but your whole mentoring on risk management and patience has been invaluable. It has been a long road for me to get here and while I have more of a journey ahead, I know I will get there and I have set myself ambitious and challenging goals, but one step at a time. Gotta say man, you have some awesome software, training and members to help support us through our first year here! We are super excited that this is only the beginning, and as we develop and refine what works for us and suits our risk and management parameters, we will go live on the futures arena as well soon. For now we are still sim on futures...but we gotta give you praise for your unbelievable efforts. Today in the room, a member stated how much your commitment to us means, this couldn't be stated any better!! Thanks for all you help us with, and I am totally loving the VTC concepts along with consumption candles, and the new way we are drawing and using trendlines with the demand and supply zones. All together this seems to be a SUPER powerful strategy that can work on ANY timeframe, keeping in mind of course that we DO use multiple timeframes. In trading the one thing I lacked was an accessible mentor who could guide me in trading. Problem solved at PFA. Not only do you learn how to understand true price action on a chart as it applies to Supply / Demand trading, but you have access to probably the best mentor in the business in PFA’s live trading room. Had I started at PFA, I would have saved a lot of time, frustration and money. This program and its founder are simply the best and are worthy of the highest commendation. I cannot recommend them highly enough! As you know I chose you as my last chance for my trading career before I give up. After almost 3 months with you I have to tell you that you are the best mentor I ever met and believe me I have seen a lot of them.. I can't tell you how glad I am that I made the right decision and chose you. I took Pure Financial Academy coaching a year ago and I have never seen any strategy as simple as what Will teaches. Its very simple it works on all time frames with or with out indicators in any asset class. He is very detail oriented and willing to help you succeed in trading. The education I gained from PFA helped me become consistent with my trading. I can vouch for Will and Pure Financial Academy, they have the best and proven strategy. 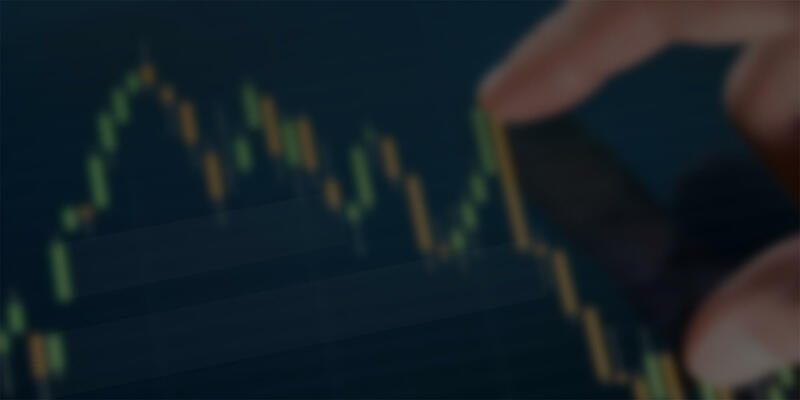 I got involved with Pure Financial Academy to learn to simplify my Futures trading and soon found it works with FOREX, Options, and Equities trading as well! I have been trading with a demo account and using the NinjaTrader Market Replay as well as participating in Pure Financial Academy's classes with Will Busby everyday. I can't thank you Will and the Pure Financial Academy team enough!!! I have been trading futures for five years. This year will be my first profitable year. I have paid good money for good training 4 years over before finding PFA. All had a decent edge. But there was always still a feeling of whether or not I was making a good decision to enter, even in the face of what the method I was trading at the time was telling me. Still had a sense of 'guessing'. I've used market profile and have had extensive training in the use of it. I have used footprint charts, followed other forms of order flow, etc.. etc.. all very complicated. The taxation on the mental fuel trading this way, at least for me, was massive. Once I - as all other methods I've been trained on - literally stumbled onto the concept of Supply and Demand trading, I knew this was the info / style of trading that I didn't know I had been missing and searching for since the beginning. That is, finding where the big players trade, e.g., have their orders sitting. That's what as a retail trading, we all want to know. Its like the pilot fish swimming next to the shark. Except in trading these sharks will eat you if you don't know what you are doing. Will at PFA has a natural gift to explain these Supply and Demand concepts like no other. Their training is unmatched. Even has tests at the end of each section to check your knowledge learned. The live classes contain information you will never, never find in a book. Trust me on this. Trading is a very personal adventure. Meaning, what works for some will not work for others. For me, stripping away all of the complexity I was trained at leveraging before PFA was a Godsend. The method is the easiest and yet the absolute most powerful, and reliable system in my opinion in all of the methods out there. I can say with confidence, I have found my stop on this train of trading. I trade with consistency, confidence and ease of identifying where Im entering and exiting before price ever gets to my entry. Trading is now fun - and making money when youre having fun is something few will ever have the benefit of experiencing. If you're struggling to the find your niche, give PFA a look and see what you may have been missing. Proceed. I have been a member of the PFA community for 6 months and I can only speak of how happy I am about my decision to join. This is not just course material. Its a community of traders learning together under the the highly experienced mentoring of WILL BUSBY. I wont sugar coat this, because there is a lot of material to master within the course of methodology and advanced training. It will take time and effort to understand and implement, but once you start to get it, the pay off is so worth it. The PFA Software that goes with the course is amazing. Trading these supply and demand zones with the software alone is really eye opening. I dont see how anyone would want to trade any other way but with Supply and Demand. And then when you put the methodology and advanced training with the PFA software, success is imminent. If you want to become a professional trader, this is the place to learn how. Testimonials may not be representative of the experience of other clients or customers and is not a guarantee of future performance or success.